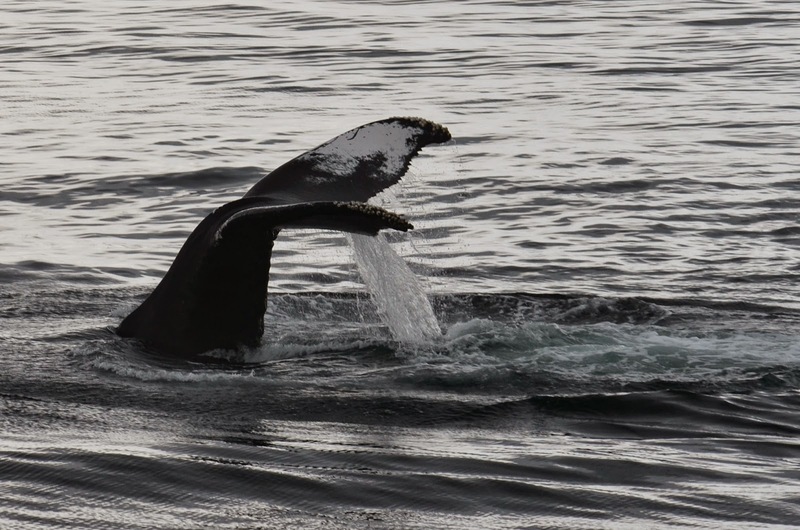 This afternoon aboard the Cetacea, there were still a number of humpback whales on the southwest corner of the bank. 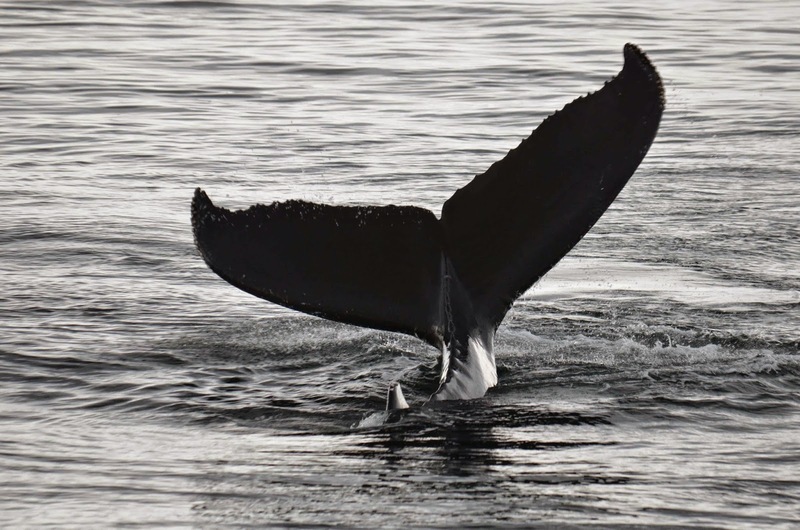 Just like yesterday, our whale watch started off with a breaching whale! 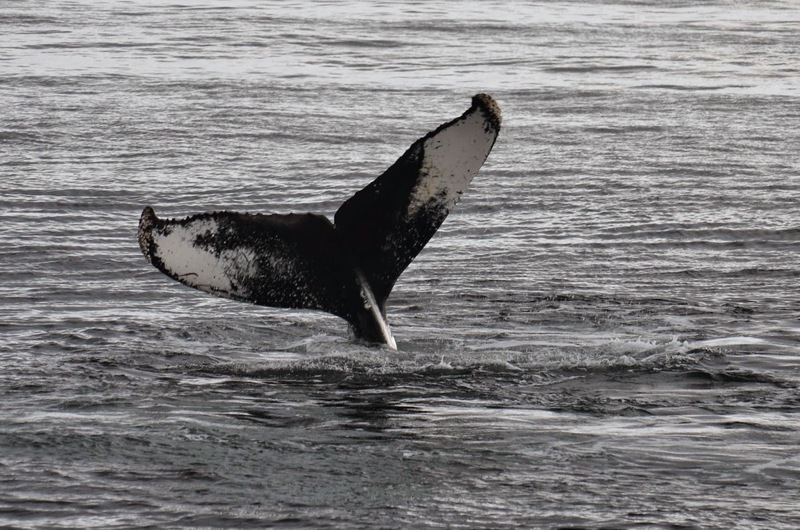 This whale turned out to be the offspring of one of our breaching whales from yesterday. It was Habanero, a female born to Pepper back in 2000. Habanero was super active and breached repeatedly as we approached. 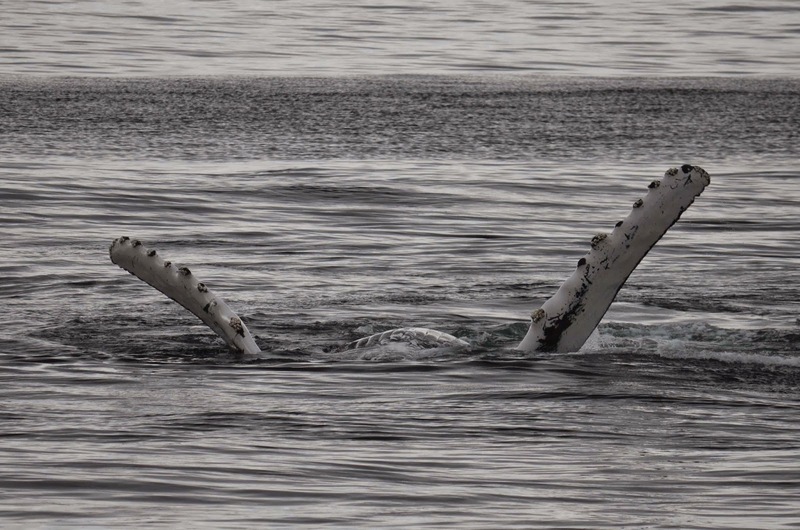 The breaching then turned into lots of pectoral slapping followed by inverted tail lobbing and then regular tail lobbing! 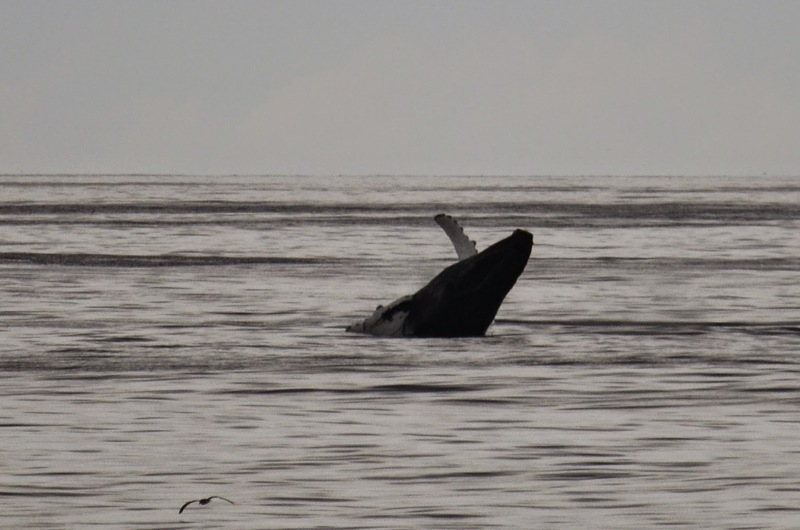 She put on quite a show for us throughout almost the entire whale watch! It was absolutely spectacular! Once Habanero simmered down, we moved on to Nile and calf who were logging nearby. We had beautiful looks of the sleeping mom and calf until we turned back for home. On our way, we again passed Habanero this time logging before a beautiful sunset backdrop. 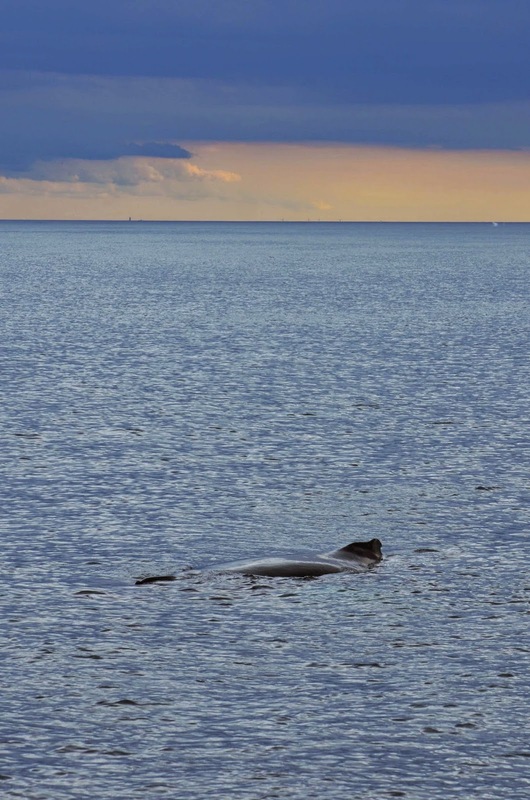 Throughout our trip home we saw a minke whale and lots of different birds including some unidentified ducks, gannets, Cory’s and Great shearwaters. We were unbelievably fortunate to have such calm sea conditions today and are crossing our fingers for tomorrow!